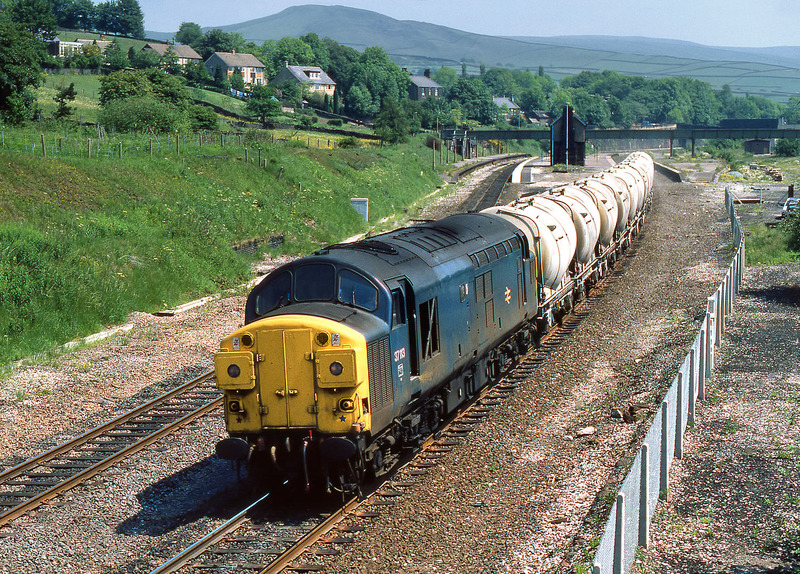 37113 passes Chinley on 19 June 1984 with cement tanks from Blue Circle's Earles Sidings works. The remains of the once extensive Chinley station can be seen in the background. This once boasted six platforms. It has been reduced in stature even more since this picture was taken, with the outer platforms and building disappearing, and the footbridge being truncated.